Come and join in our 9 Hole midweek fun competition, open to Members, Guests and Visitors. Handicap not essential. 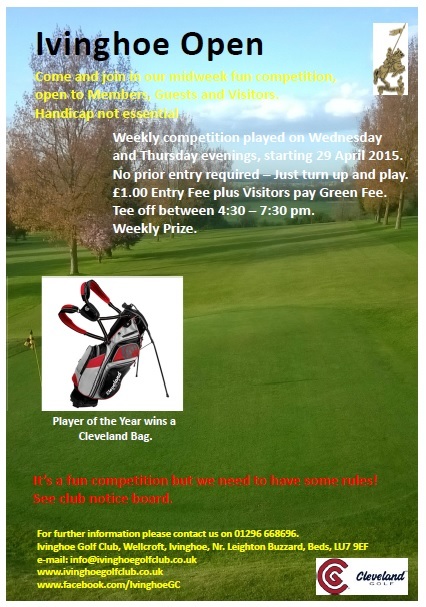 Weekly competition played on Wednesday and Thursday evenings, starting 29th April 2015. No prior entry required – Just turn up and play. £1.00 Entry Fee plus Visitors pay Green Fee. Please phone the Pro Shop for latest update on 01296 668696.